Gamified Reading: The Game is Never Over! When I fee adventurous and decide to incorporate something new into my teaching / learning experience, I only have one condition: if it does not create different layers of learning and allows for integration of various skills, it’s not good enough. This rationale might seem unreal and arrogant, but learning and engagement are not processes that happen in isolation and, therefore, they must be protected. Reading skills development and strategizing has been a major focus in my language classes lately. I stayed playing with the senses, using ebook creator in order to accompany texts with images and sounds in order to augment the reading experience. Another frequent strategy has been the Spiral Action Reading Approach (SARA) in which passages are exploited in such a way that readers are stimulated to establish connections with other disciplines, to state memories that the reading evokes, to share experiences that they can link to the ‘life lessons’ in the text, and to carry out grammar and vocabulary development takes using the passage as a background. 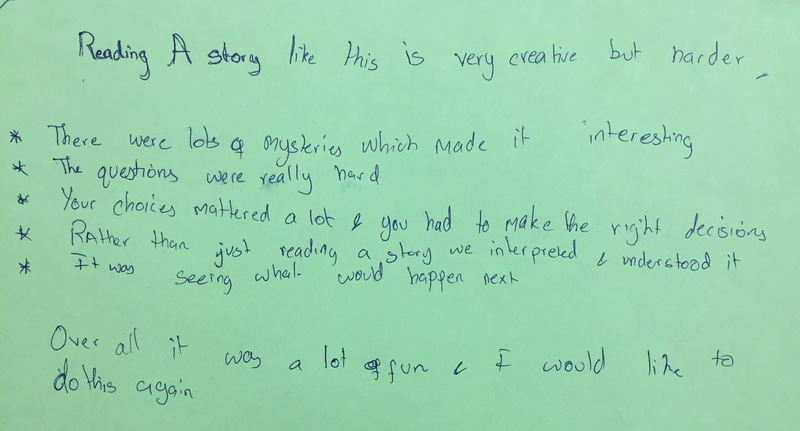 Part of students’ work is to tell the story of the choices they make. A map is generated as support in their story-telling. However, it is been my efforts in gamifying stories what has yielded fantastic results. Not only have students experienced challenged to demonstrate their reading comprehension skills, but have also needed to employ problem solving and transfer strategies in order to fulfill the tasks. I cannot lie and say that gamifying readings is a simple task, because it isn’t! On the contrary, planning for them is lengthy and testing their logics, the sequence between clues and the relationships among them requires time, focus and patience. Yet, they are some of the most reciprocal tasks for they pay back with a very special kind of engagement, in which students read beyond reading for they are to make choices, save information and utilize the ‘weapons’ the accumulate when available. Giving students the chance to compare the choices they make is a key element of gamified reading. Gamified reading tasks do not look like readings; their maze-like nature and how they incite readers into assessing every step of their process helps me say that this kind of takes truly welcome and empower inquiry and also become a plateau where students witness how their skills a.k.a. Toolbox are employed, as well as where their efforts are going. 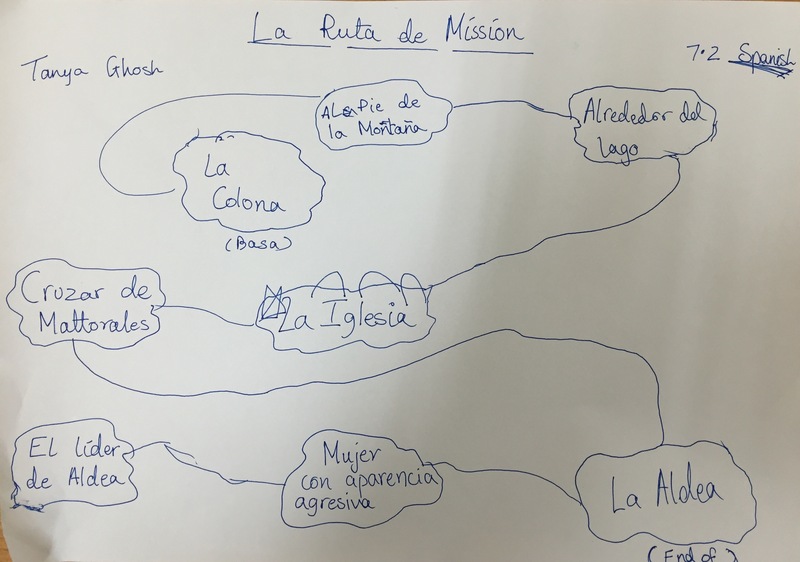 Download a sample for Spanish (MYP Phase 2) here. 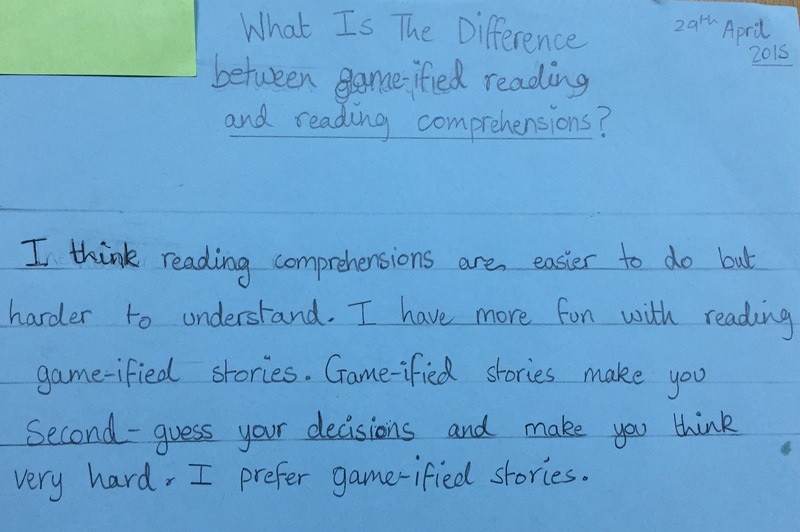 Below are some students’ opinions on gamified reading. Concept-Based Curriculum and Instructor Independent Trainer. Concept-Based Foreign Language Curriculum and Instruction specialist. Teaching and Learning Director; lives for traveling, reading, learning and tasting new flavours; culture and art lover; passionate about cinema and music. IB MYP, DP Workshop Leader. Mexican YouTuber and Soundclouder. 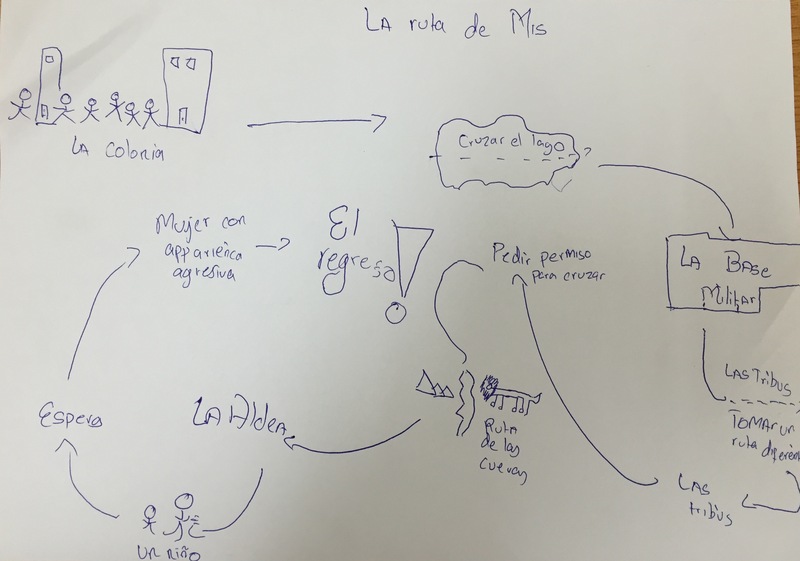 This entry was posted in ATL, IB MYP, Resources, Strategies and tagged Approaches to Learning, communication, Creative Thinking, creativity, Gamification, Gamified reading, Gamified Spanish, reading. Bookmark the permalink. 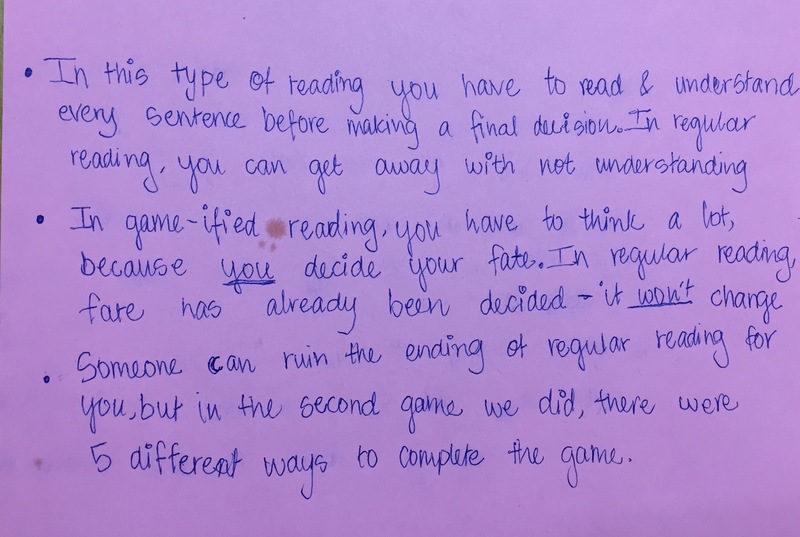 3 Responses to Gamified Reading: The Game is Never Over! I really like this impressively built reading task (El Tesoro). I’m certain it works very well in the classroom and I will use it if / when I teach Spanish again. It reminds me of some books I used to read (Les livres dont vous êtes les héros). Ready made ones in French, but sadly no treasure. I am amazed about the inspiration and the materials provided in Spanish with the instructions to see how it would work in practice, ¡fantástico!. I wonder about the framework of the units where they would be meaningful, do you happen to remember what Statement of Inquiry or Inquiry Question would they contribute to answer?